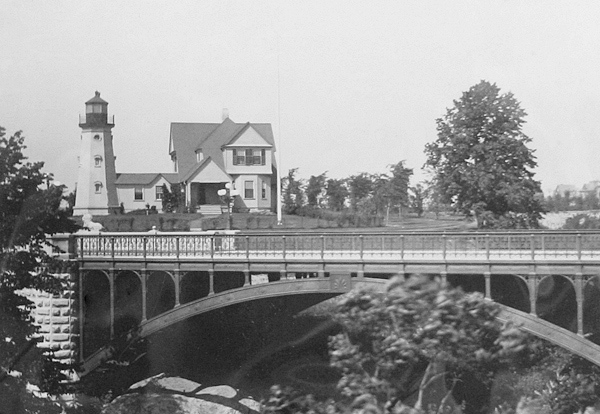 If you visit the old lighthouse in Lake Park you will hear the surprising story of Georgia A. Stebbins, keeper of the North Point light for 33 years starting in 1874. To put that in perspective notes the lighthouse website, it would be another 46 years before women were allowed to vote. Yet here was Georgia, duly appointed by the federal government and in sole charge of a vitally important maritime safety facility. She told her history to a visiting reporter in an article published in the April 10, 1897, Milwaukee Journal. Her husband joined her several months later and opened a jewelry shop on East Mason Street. Georgia and Lemuel had one child, a son, born in the lighthouse. Georgia unofficially performed her father’s work for seven years until the U.S. Lighthouse Service caught wind of what was going on—and promptly appointed her as lighthouse keeper. Georgia continued the work for 26 more years. Lake Park didn’t exist when Georgia arrived at the remote northern end of Milwaukee Bay but the lighthouse there, built in 1855 on the edge of a high bluff, was one of the most important on Lake Michigan. It could be seen by vessels approaching the city from the north, south, and east. Each evening—5 p.m. in the winter and 6 p.m. in the summer—Georgia cleaned and carefully filled 18-inch-high brass lanterns with mineral oil (two lanterns, they were changed at midnight), and recorded the amount of oil burned the previous night in a log book. She then trimmed the wicks and climbed the winding iron stairs and a ladder to the top of the tower. There, 36 feet above the ground and 100 feet above the lake, she cleaned the windows and uncovered the heart of the North Point lighthouse—its fourth-order Fresnel lens, manufactured by Barbier, Benard & Turenne of Paris. The massive lens magnified the lantern’s one-inch-square flame to the full size of the barrel-shaped lens—nearly three feet tall—creating a light visible to ships at a distance of nearly 20 miles. Although gigantic, the lens was delicate and had to be covered with canvas during the day to prevent it from concentrating the rays of the sun and shattering. At North Point, a section of this lens rotated thanks to a system of clockwork gears and weights. The revolving lens created a flash of white light lasting thirty seconds followed by another flash lasting fifteen seconds. “The duties are very simple and I have never found them irksome. The lenses in the tower must be perfectly clean, the lamps must be kept in order and burning from sunset to sunrise. The machinery which operates the flash must also be kept clean and in order and wound up every four hours during the night. A few years after Georgia’s arrival, the original North Point light was threatened when the bluff on which it had been built started to erode. 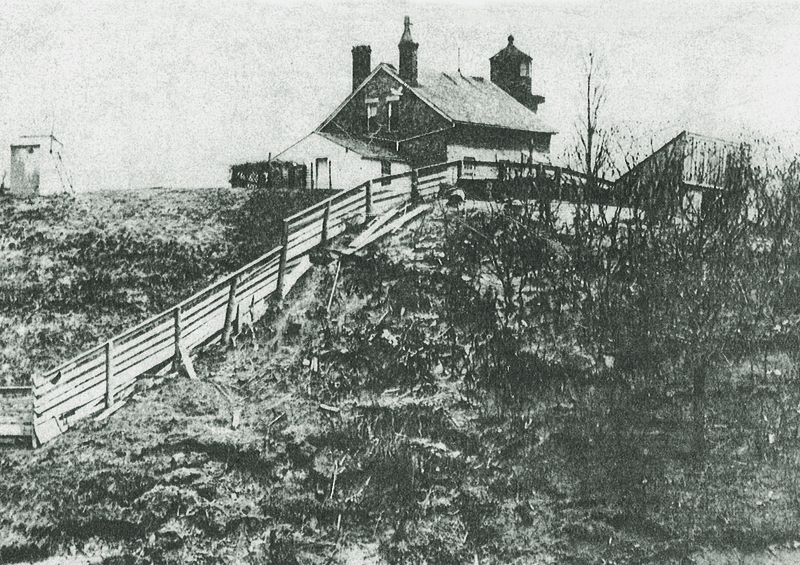 The present North Point Lighthouse and keeper’s residence was built, this one set well back from the crumbling bluff. 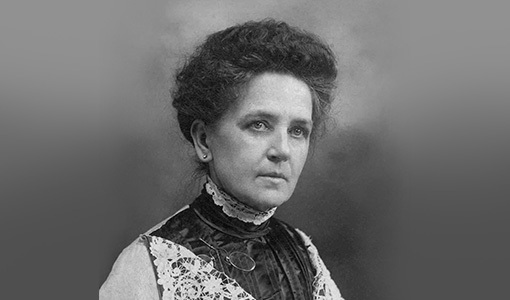 In addition to her nightly duties, Georgia was expected to track the passage of lake vessels in a log book, write down weather observations, maintain the house and grounds to the lighthouse board’s exacting standards of cleanliness, and of course cook meals and tend to her family’s needs. With the creation of Lake Park in 1893, Georgia soon had another chore on her hands—that of tour guide. Visitors to the park, a great many of them in the warmer months, would knock on the door and Georgia would show them through her home and the lighthouse. Georgia faithfully tended her light, night after night, for 26 years. She retired in 1907. She died in 1920 at the age of 74. But how unusual was it for a woman in those long-ago times to be lighthouse keepers? As it turns out, Georgia was one of many female lighthouse keepers in a line stretching all the way back to the founding of the country. The first was Hannah Thomas, who took over as head keeper at Gurnet Point near Plymouth, Massachusetts, when her husband, John joined the Continental Army to fight in the Revolutionary War. He died of smallpox on June 2, 1776. Along with raising their three children, Hannah worked John’s lighthouse post, making her the first female lighthouse keeper in America. According to the book Brilliant Beacons by Eric Jay Dolin [Liveright Publishing, 2016], women most often were appointed lighthouse keepers on the death of their husbands. In fact, Stephen Pleasanton, the first head of the Lighthouse Bureau, preferred to hire widows of deceased keepers since they had assisted their husbands and thoroughly understood the duties involved. The first woman lighthouse keeper on the Great Lakes was Rachel Wolcott. 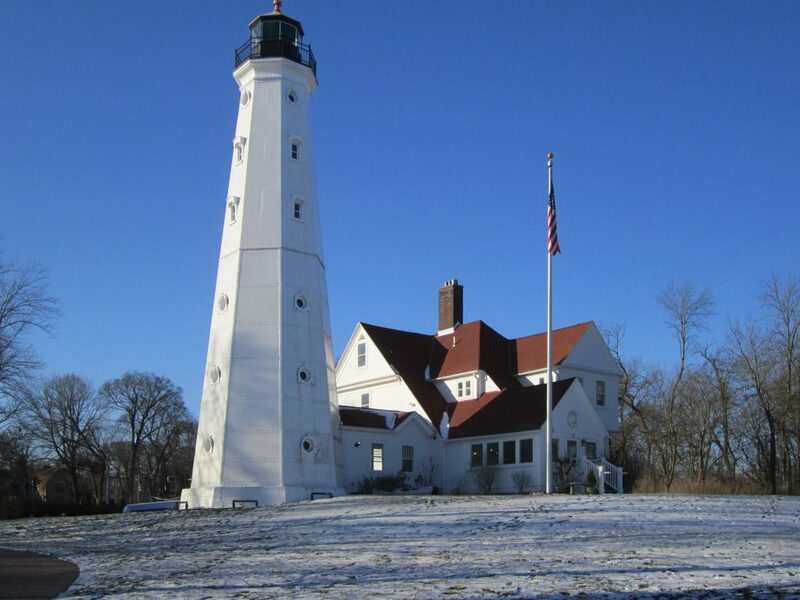 Her husband, Revolutionary War veteran, Benajah Wolcott, was appointed to the Marblehead Lighthouse in Sandusky, Ohio in 1822. When he died of cholera in 1832, Rachel became the keeper. A few women keepers lost their lives in the line of duty, usually from drownings, accidents, or illnesses. But the death of Mary Terry in 1886 remains one of the true mysteries of the Great Lakes. 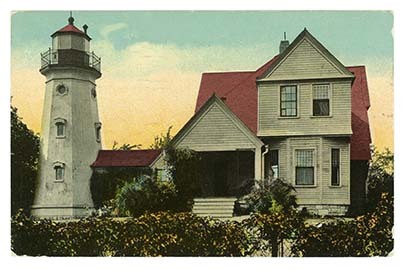 Mary Terry’s husband was appointed as the first keeper of the Sand Point Lighthouse in Escanaba, Mich., but he died while the light was still under construction. Mary took over as keeper and she lit the lamp for the first time. She did not have children and lived at the lighthouse alone for two years until the lighthouse caught fire in March 1886. Investigators discovered the door had been forced open. Only fragments of Mary’s body were ever found. Starting in the 1910s, automation and electric lighting began and the job of lighthouse keeping slowly faded. The last female keeper on the Great Lakes was Francis Wuori Johnson, primary keeper of White River Lighthouse near Whitehall, Mich., starting in 1944. She retired in 1954, closing the 121-year history of female lighthouse keepers on the Great Lakes. Thanks to Mark Kuehn, curator of the North Point Lighthouse Museum for his assistance with this story. Visit northpointlighthouse.org for information on touring the lighthouse and museum.